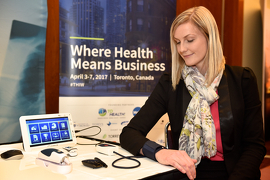 April 3, 2017 1:00 P.M.
Sarah Votruba demonstrating the CLOUD DX remote patient monitoring platform that will allow high-risk patients with chronic obstructive pulmonary disease from Markham-Stouffville Hospital to be cared for at home. 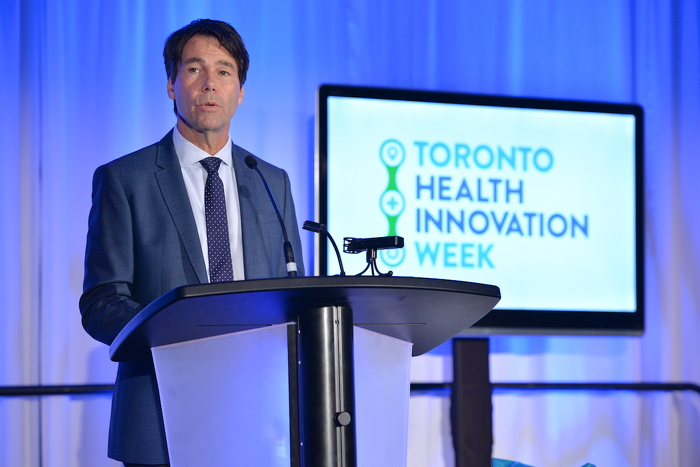 Minister of Health and Long-Term Care Dr. Eric Hoskins speaks at the Impact Health Summit in Toronto. 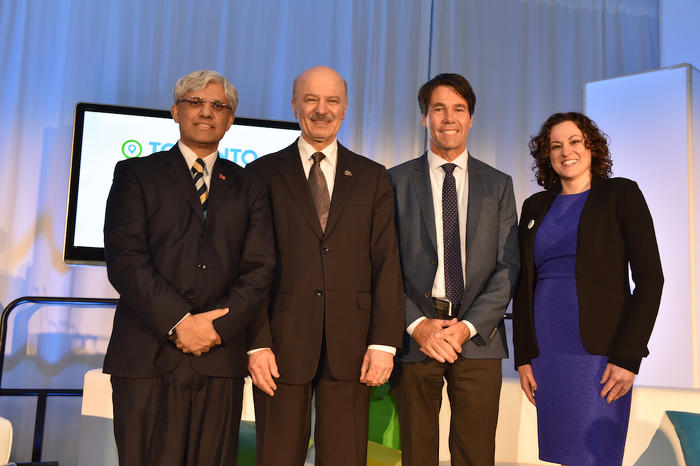 (Left to right) Dr. Shafiq Qaadri, MPP for Etobicoke North, Reza Moridi, Minister of Research, Innovation and Science, Dr. Eric Hoskins, Minister of Health and Long-Term Care, Ella Korets-Smith, Executive Director at TO Health.